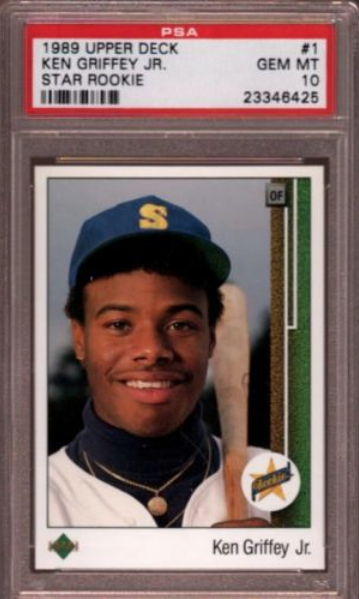 If one were to put a list together a list of some of the most iconic Rookie Baseball cards of all time, this card would certainly have to be on that list, whether is be Vintage or Modern Day Rookie Cards. If you have any doubts about that all one has to do is look at the Beckett Grading Services population report alone. 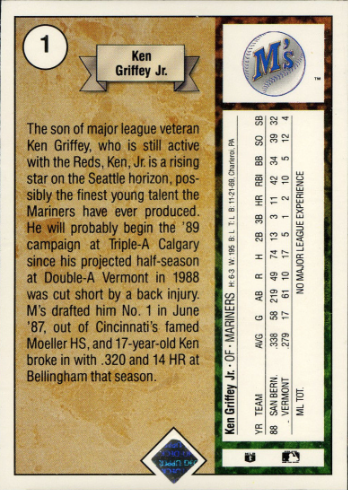 There are almost 32,000 BGS graded and just under 60,000 PSA graded 1989 Upper Deck Ken Griffey Jr. Rookie cards. For both grading services close to half of those cards land in the 8 or 8.5 range. Less than 5% of those cards grade a Gem Mint 10 and there are only 84 BGS Pristine 10 cards in existence. Getting a decent graded version is very affordable. Getting a hold of one in a top level graded slabbed can be a pricy proposition. Graded versions should start around $12 to $18 for cards that grade a PSA 7 or below. Expect a PSA 8, which is the average, to cost about $22 to $28. A PSA 9 somewhere between $30 to $40. Then the price jumps to between $270 to $350 for a PSA Gem Mint 10. For BGS graded cards prices start around $13 to $18 for cards that grade a BGS 7 or below Expect a BGS 8 or 8.5, which is the average, to cost about $19 to $34. A BGS 9 somewhere between $35 to $50. Above a 9 is where it gets wild with a BGS 9.5 between $150 to $300. 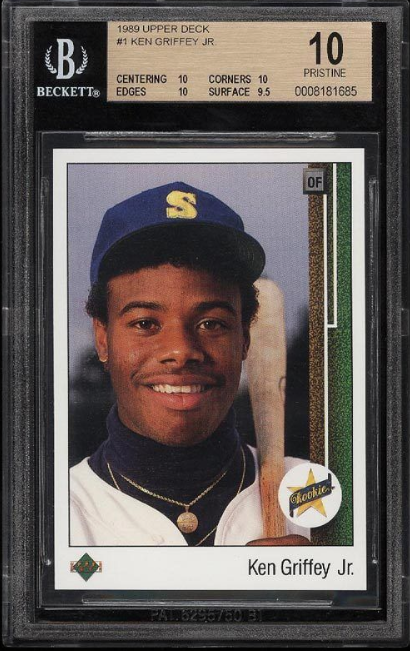 Then expect to pay north of $2,000 for one of the 84 BGS Pristine 10s if you can find one. 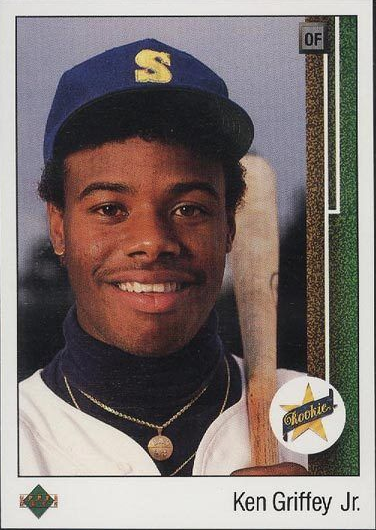 To find 1989 Upper Deck Ken Griffey Jr. Rookie Baseball cards on eBay, use this link.